The HERCULES Bass Clarinet/Bassoon Stand DS561BB is suitable for a variety of makes and models of Bass Clarinets and Bassoons. This stand is both rugged and sturdy. Base rest can be adjusted to hold the instrument facing towards or away from the stand. 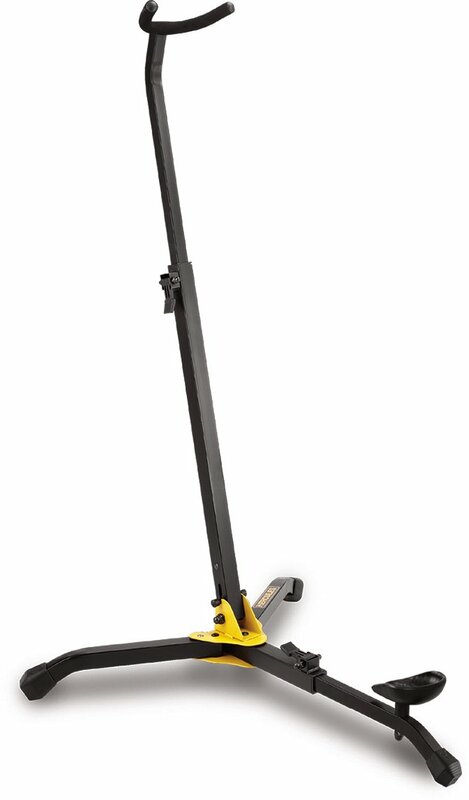 The instrument is held securely with the floor peg extended or withdrawn. Base rest adjusts to accommodate either bass clarinet or bassoon.